Changes to data protection regulations come into effect on 25 May 2018 – with the General Data Protection Regulation (GDPR) coming into force. GDPR will give individuals much more control over any data that businesses or other organisations hold on them, including giving them the ability to request, amend and delete any of the personal data. Many UK businesses are still failing to prepare for the new regulations. 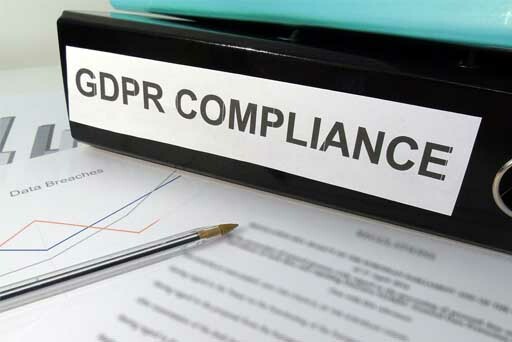 Research conducted by the compliance solution platform, PORT.im, has found that amongst its survey of a hundred UK business leaders, the majority still have major misunderstandings when it comes to GDPR and data protection rules. 55% were unaware of the new regulations. 73% confirmed they had stored personal data – but only 27% thought GDPR applied to them. 7% never received consent to hold personal data. 19% confirmed they got consent but have no record. 33% thought they didn’t need a record of consent. 23% thought they weren’t required to securely store and encrypt any personal data. 13% couldn’t be sure if their stored data was secure or encrypted. 26% admitted their stored data was secure, but no encrypted. Despite the increasing publicity surrounding the new regulations, the amount of businesses failing to put preparations in place hasn’t changed. Any businesses that don’t meet the requirements of GDPR, could be subject to severe penalties – including fines of up to €20m or 4% of the business’s total revenue, depending on which is the higher amount. Penalties like these would result in serious financial problems for many businesses, along with other consequences, such as reputational damage. A lot of business owners are already struggling to make profits due to the tough trading conditions. Getting a company ready for the new rules takes a lot of time and resources, which can distract companies from their main activities – and have an impact on their turnover and profits. If companies do end up getting a fine because they are not GDPR compliant, the fine imposed could well be enough to tip the company over the edge – and into insolvency. Previous What does ‘going into administration’ actually mean? Next What should I do if I can’t afford to pay my suppliers?